On day-to-day, I like to go au naturel with my cupcakes, similar to how I like my face to be at home. There’s no hiding of imperfection and it’s purely for comfort and fuss free. 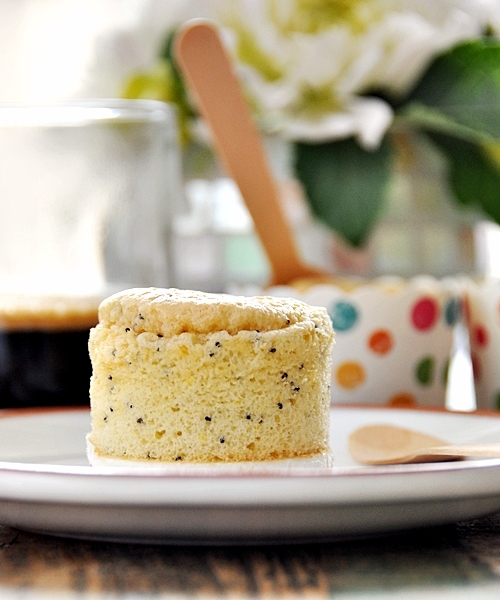 These lite orange and poppy seed cupcakes I baked over the weekend were just that. They are cotton-like in texture and you don’t feel guilty after eating them. Other: grater, handheld mixer etc. Preheat oven to 180C/356F. 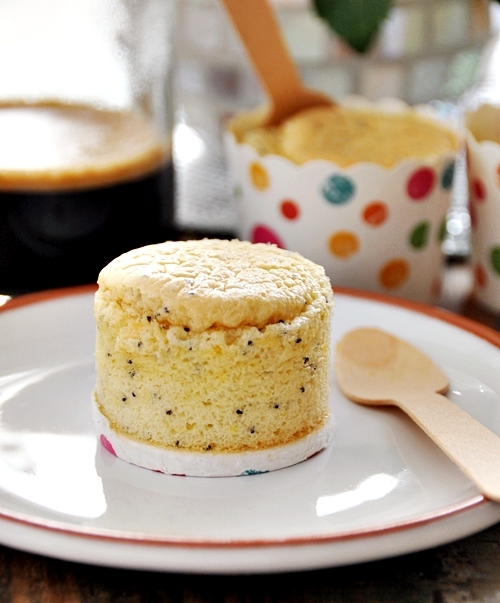 In a bowl, mix cornflour, all-purpose flour, salt and poppy seeds. Set aside. In a mixing bowl, add 20g caster sugar and grated orange peel. Then separate the egg yolk and white i.e. place the yolks with the sugar-and-orange-peel mixture and place the egg whites in a separate mixing bowl. 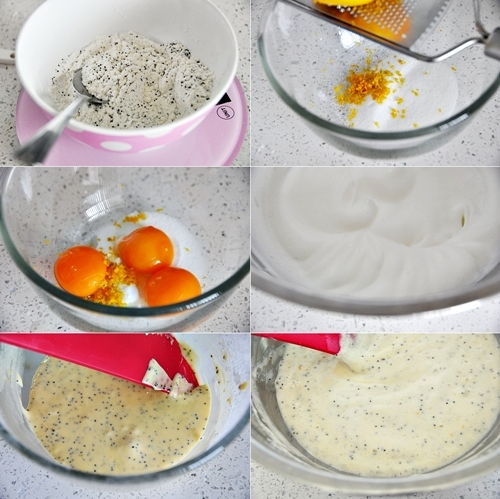 Use a handheld mixer, whisk the egg white while adding the remaining 20g of caster sugar gradually at high speed. Whisk the egg whites until soft peak is achieved. Set aside. With the same handheld mixer (no need to wash the whisks attached), whisk yolks-sugar-and-orange-peel mixture until it becomes pale and fluffy. Then add oil and whisk again until well mixed. Add the flour mixture into the yolk mixture and whisk until just combined. Add 1/3 of white egg into the yolk mixture and use a spatula to stir until well combine. Then gently fold in the remaining egg whites until just combine. 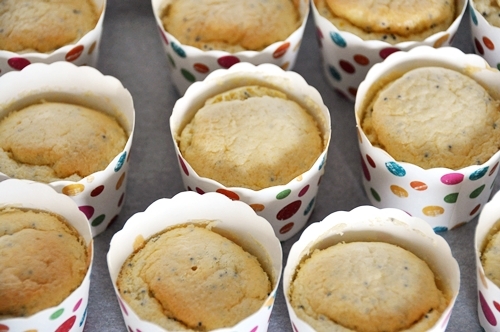 Spoon the mixture into your baking tin (please add baking paper cases due to the low fat content of thesecupcakes) or use cupcake cups. Bake the cupcakes for 15- 20 minutes until the cake tester comes out clean. They look great and yummy! Oh yeah, that’s what happened to me haha! My beloved got to eat 2 cupcakes and the rest was for me. These look adorable AND delicious! Orange is such a fun ingredient. I will definitely be trying these out!